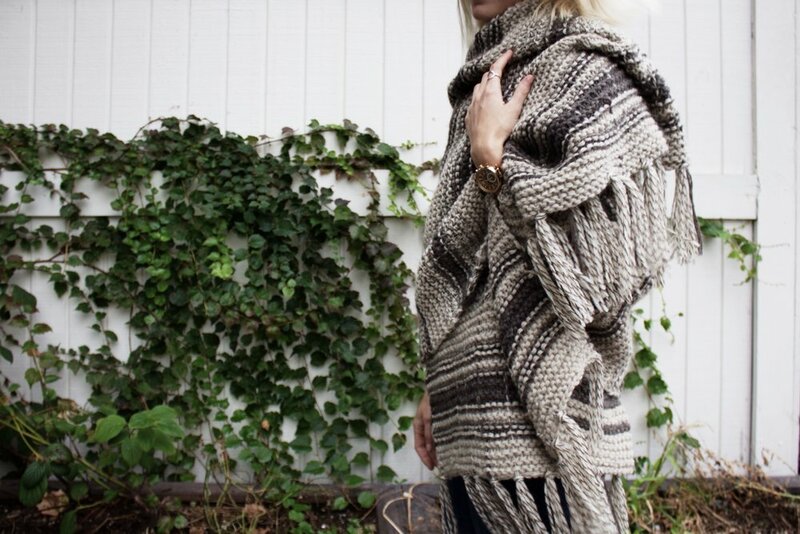 Envelope yourself in this generous blanket scarf and be instantly transported to a wilderness getaway. 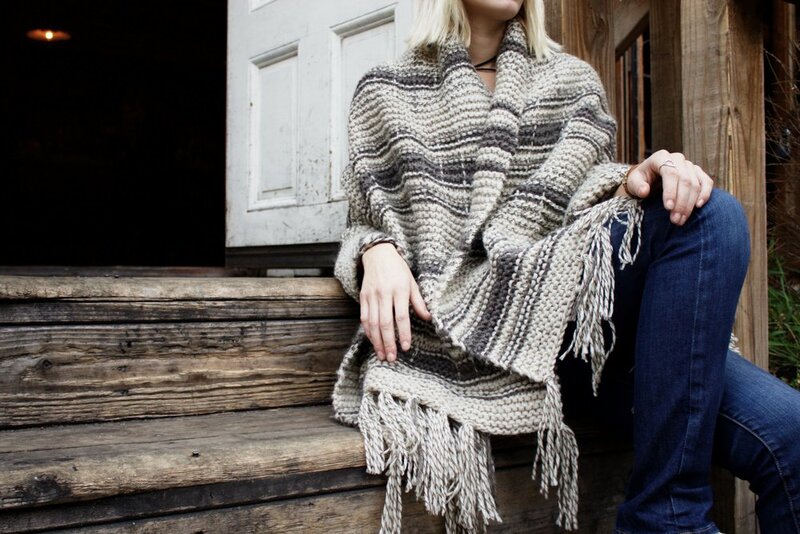 Worked up in pure, undyed virgin wool, the rustic qualities of this wrap conjure up images of a cozy cabin in the woods on a crisp fall evening. The simple garter stitch fabric is elevated with a subtle plaid effect that is achieved using a weaving technique. 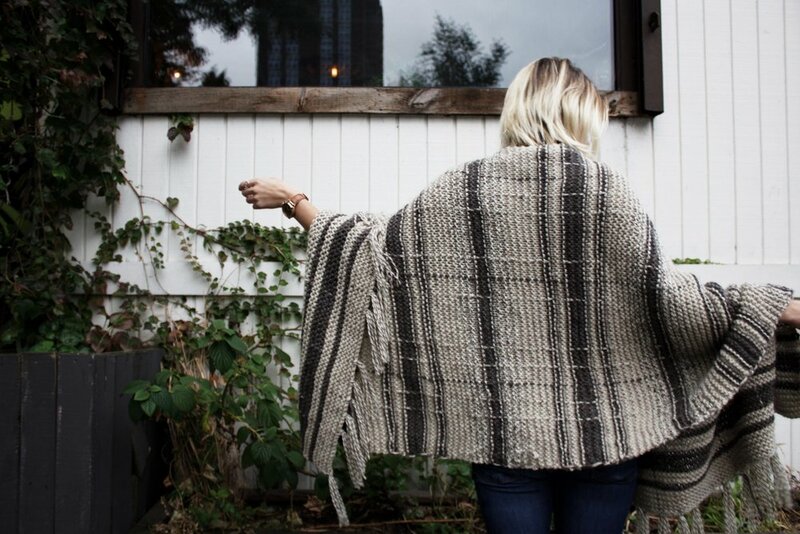 Wear it as an oversized scarf or draped as a blanket and go find yourself a campfire to snuggle around. 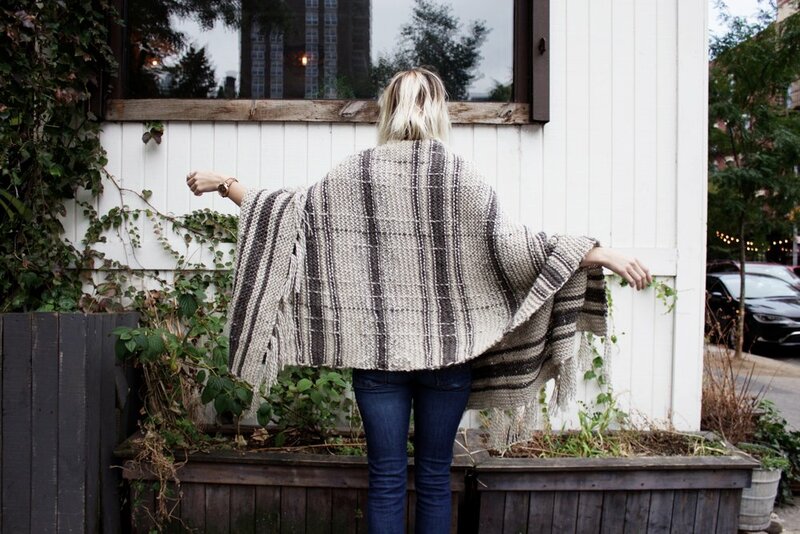 This pattern is part of a collaboration with Lion Brand Yarn Company using their Fishermen's Wool yarn. To purchase a kit please visit their site here. This is a beginner+/easy level knitting pattern and the techniques involved are the knit stitch, changing colors and carrying unused colors up, and simple weaving/embroidery using a tapestry needle.